A FRENCH student managed to escape a man who stabbed her on a street in Melbourne's north after hitting him several times in the face. The 26-year-old woman suffered a deep cut to her arm and needed eight stitches after the confrontation in North Fitzroy on Monday. Investigators have been told the man approached the woman from behind as she walked along Brunswick St, near Freeman St, about 4.20am. It's believed the man grabbed her left arm, prompting a struggle. He was forced to let the woman go after being hit several times in the face. The man, believed to be aged in his late 30s to early 40s, fled the scene and was last seen walking north along Brunswick St. The woman then realised she had received a cut to her arm. A local resident heard the woman’s screams for help. The victim was taken to St Vincent's Hospital with serious injuries. She will speak about her ordeal this morning in a bid to help catch the attacker. 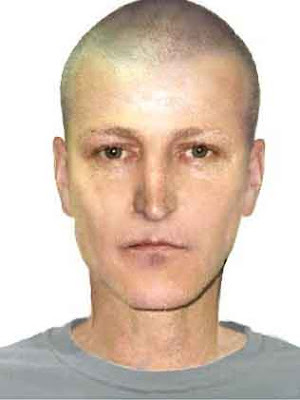 He is described as Caucasian with a thin build and short blond hair. He wore a grey T-shirt and jeans or possibly shorts.